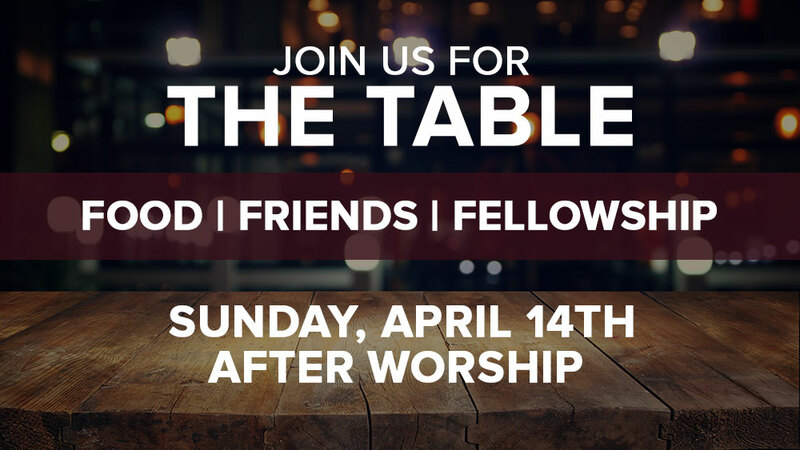 Join us for friends, food, and fellowship immediately after worship! This month, we are focused on having some fun with some group games and we will be honoring Janet and Tyler McCune with a gift card tree for their upcoming addition to the family. It will be a lot of fun, so don’t miss it! The Table is a regular meal that we will share together throughout the year. It’s pot luck so registering below lets everyone know what others are bringing and what we still need. Bring enough for your family and to share! Each time we get together, we will also have some special opportunities to have fun, build friends, and worship. Hope to see you there!